Volvo Penta will soon bring to market a 200- and 240-hp V6 gasoline sterndrive built with the fifth generation of General Motors engines. FORT LAUDERDALE — As it prepares to introduce its next generation of gasoline sterndrive engines, Volvo Penta has reaffirmed its commitment to using General Motors engine blocks. Mercury earlier this year announced that it would build its own in-house gas sterndrive engines and has since produced a MerCruiser 250-hp 4.5-liter engine. Volvo Penta in two weeks will introduce the first of a fleet of sterndrives with the fifth generation of GM motors, Huibers said. The first engines — 200- and 240-hp V6s with a 4.3-liter displacement — will make their industry debut at the Nov. 16-19 Marine Dealer Conference & Expo in Orlando. Volvo Penta will roll out additional Gen V GM engines in 2015 and will have a full family of the next-generation gas engines by 2016. Huibers outlined the reasons for sticking with GM for its new engine platform, including the addition of common rail fuel injection; the depth of GM engineering knowledge and expertise; competitive cost and reliability; the continued use of Variable Valve Timing; and FWC as a standard component in all Gen V engines. 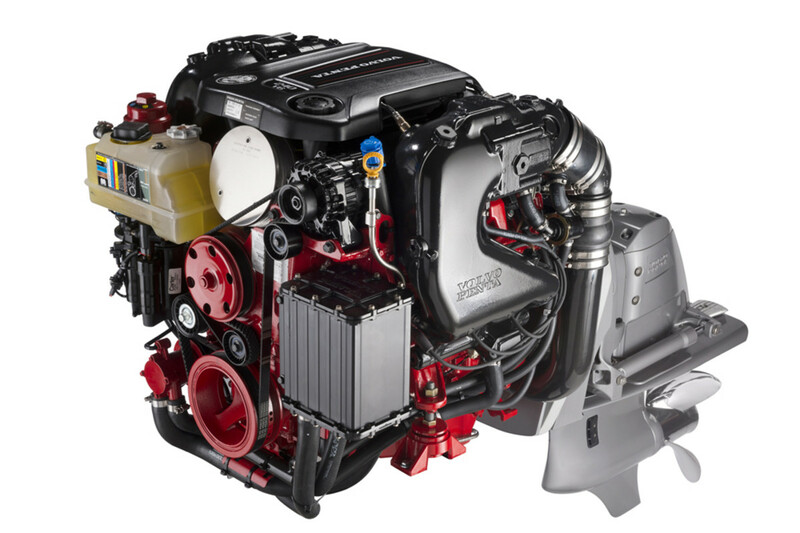 The new engines are built with common rail fuel injection, a technology already used on Volvo Penta diesel engines. The family of Gen V engines, which are aluminum, also will utilize Variable Valve Timing and freshwater cooling and share the same replacement parts. The recently introduced V8-430 and V8-380 — Gen IV engines — are already equipped with VVT, which alters valve timing for immediate on-demand combustion through faster and more efficient use of air and fuel.